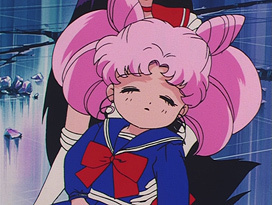 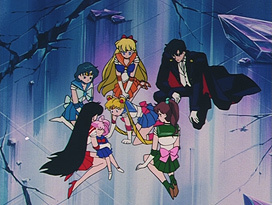 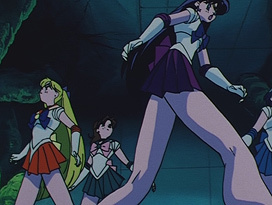 Animation errors in Sailor Moon R, the second season of the anime. 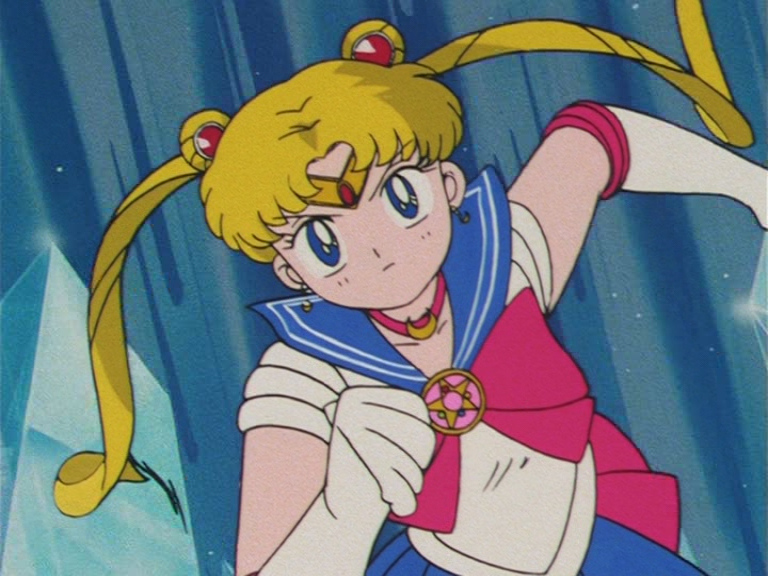 In "Moon Crystal Power Make Up" the odango gems are briefly overlaying everything else, and don't sink into their proper place until she moves her head. 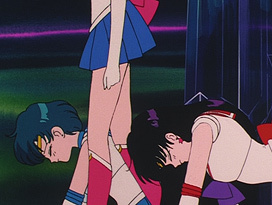 This error was fixed in the Sailor Moon R movie. 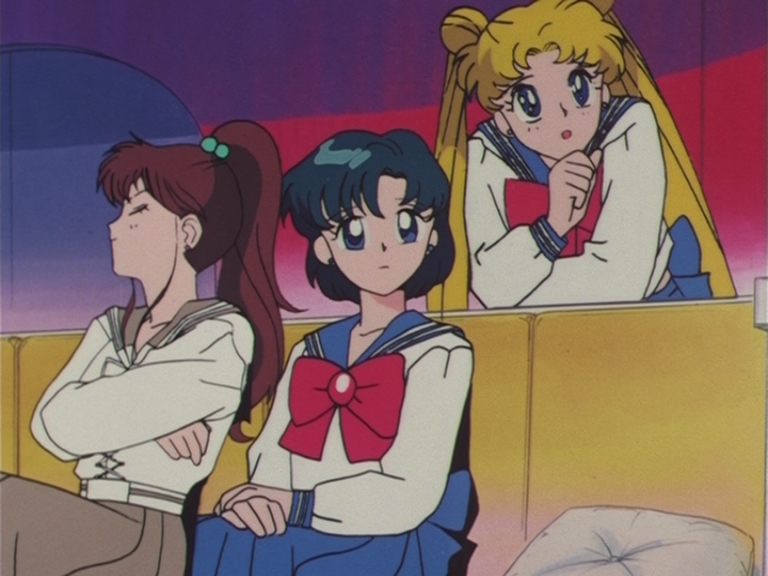 Ami's ribbon has a red brooch which isn't supposed to be there. 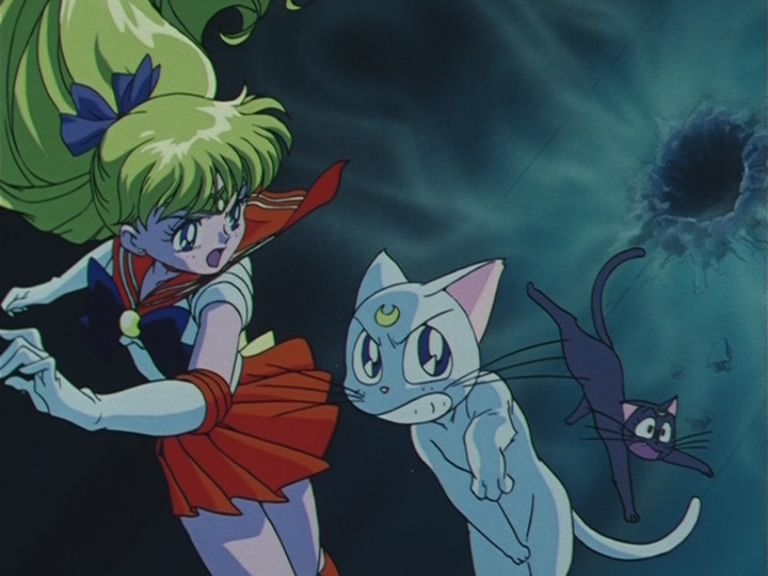 Sailor Venus' white suit melted into her skirt. 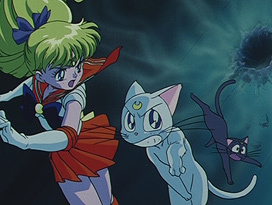 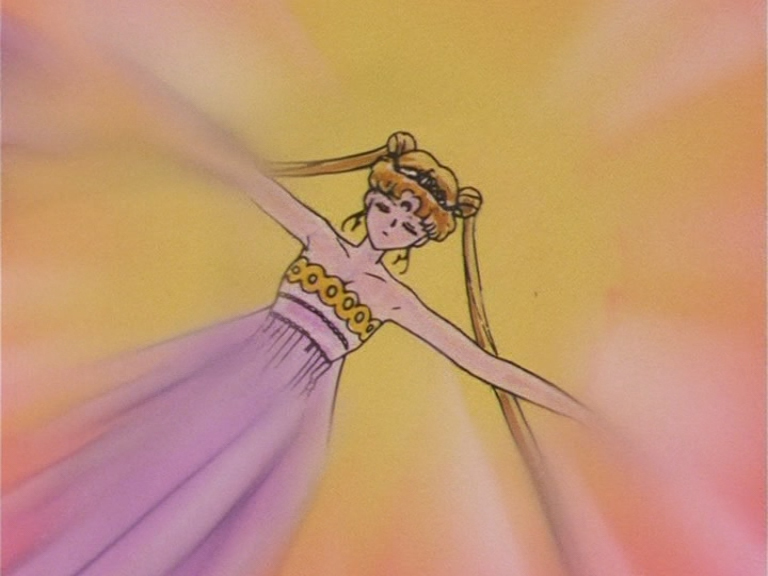 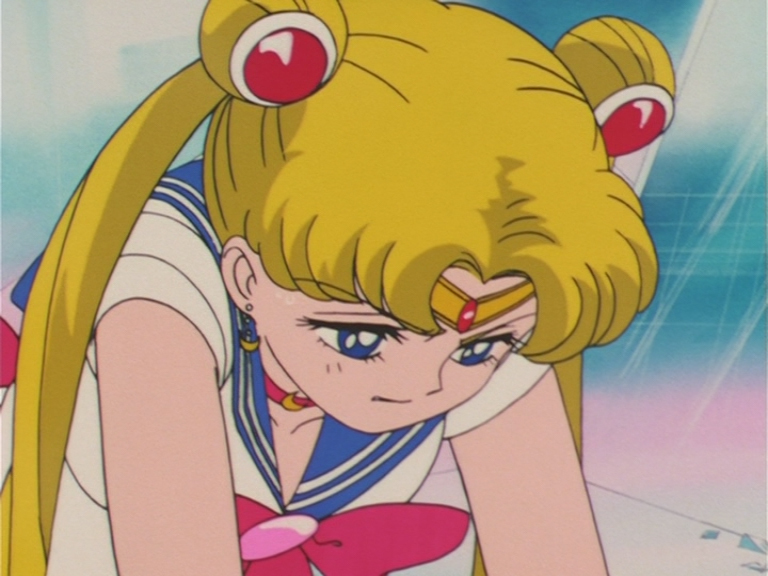 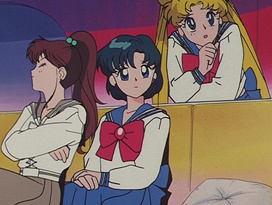 During multiple scenes, Sailor Venus' collar has two stripes instead of one. 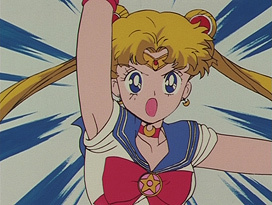 Sailor Moon's tiara gem is partly colored with yellow instead of white, making it look like a crescent moon. 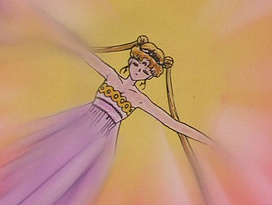 The choker also lacks the piece above the crescent moon. 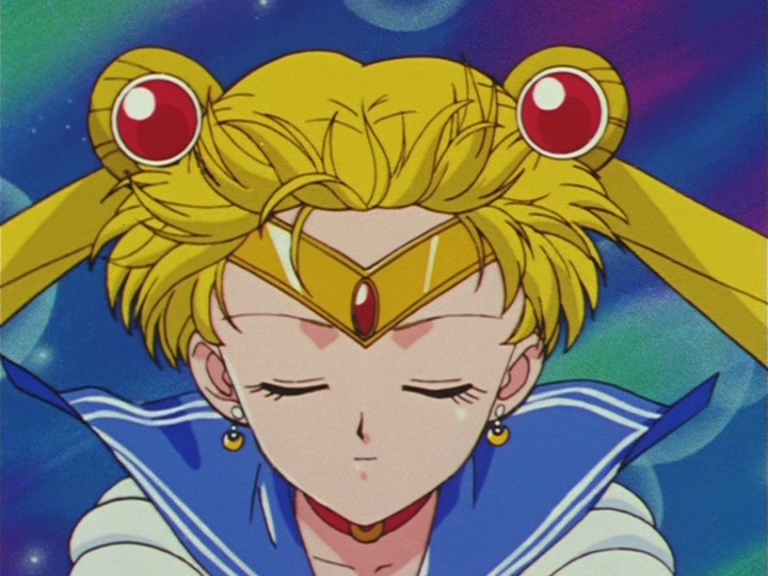 Sailor Moon's Crystal Star brooch has no detail. 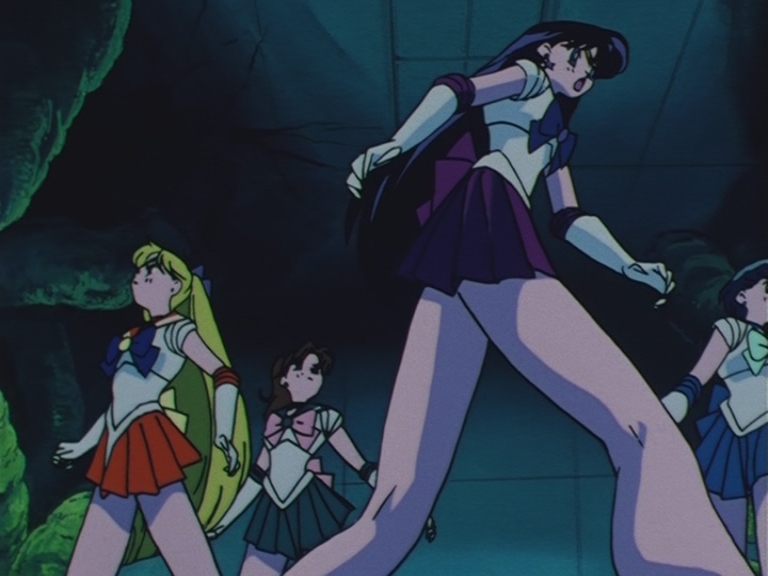 Sailor Moon was given very strange-looking hands while running in this scene. 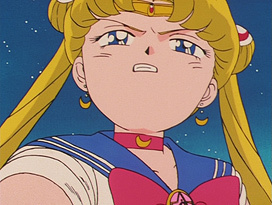 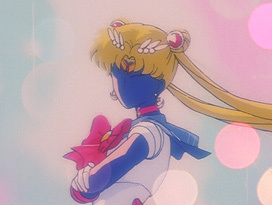 The crescent moon on Sailor Moon's choker is smaller and seems to have moved sideways. 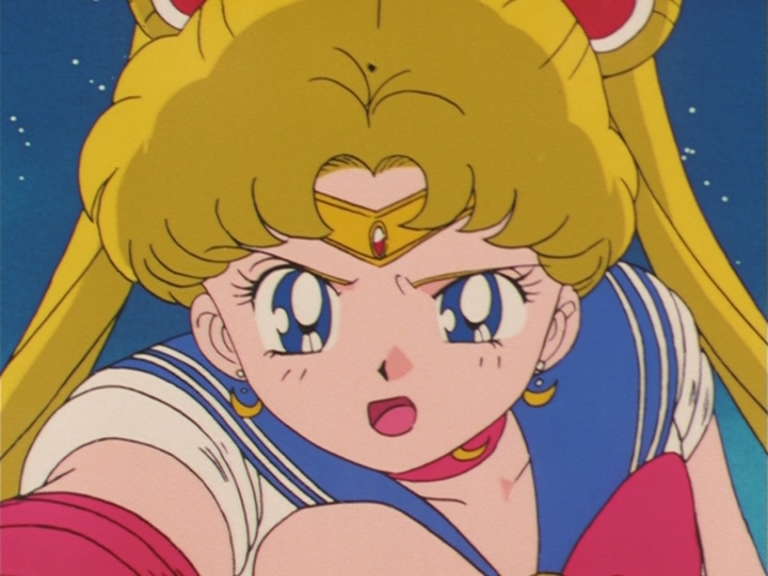 The highlight on the tiara gem is yellow instead of white. 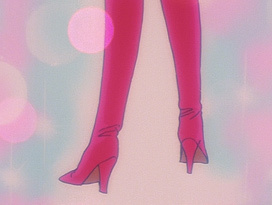 In King Endymion's story about Sailor Moon, her heels are much taller than the original design. 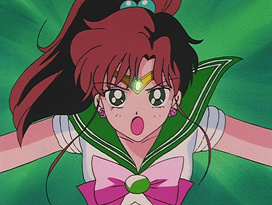 In King Endymion's story about Sailor Moon, she is shown with hair clips. 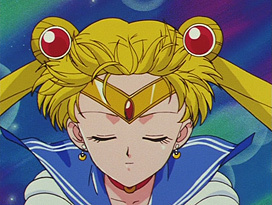 She wasn't given hair clips until her second form as Super Sailor Moon. Her original manga design has hair clips. She's also wearing her manga earrings. 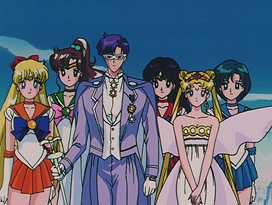 In King Endymion's flashback, Neo Queen Serenity has the mark of the Black Moon. 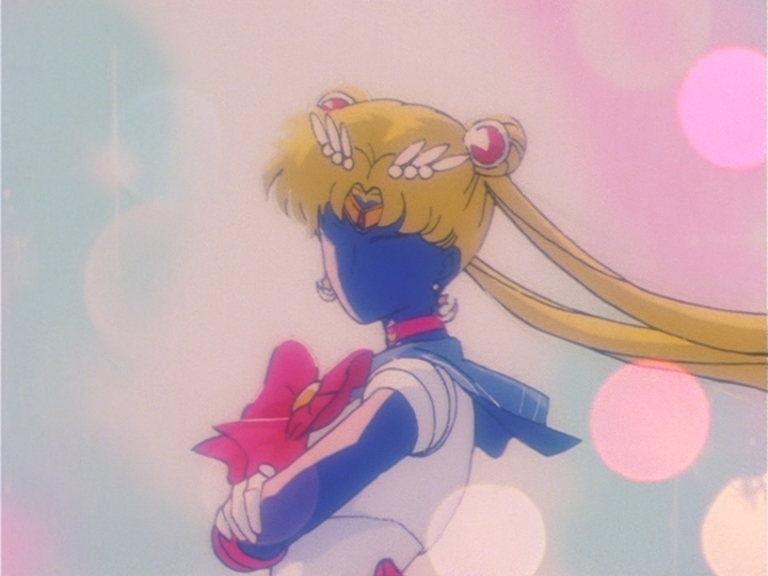 As Sailor Moon walks away from one scene to another, her hair vanishes. 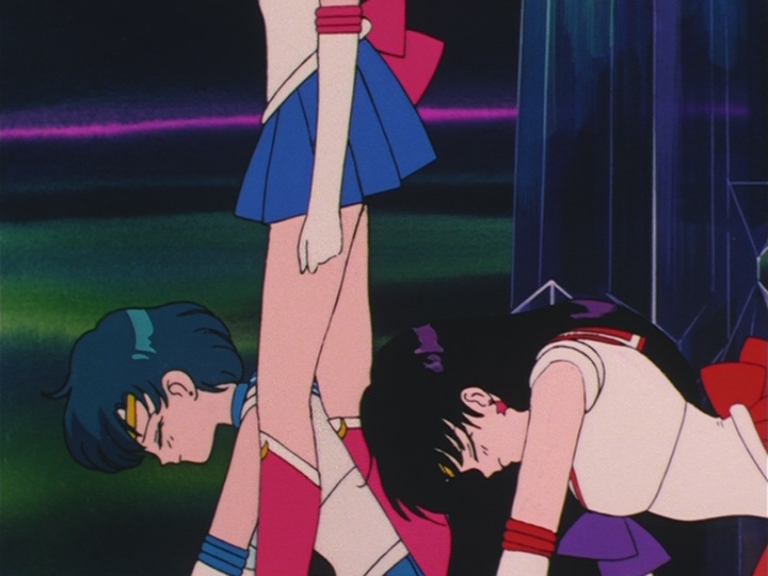 Sailor Mercury's right boot is white instead of blue, a piece of her skirt is skin colored and the front bottom of her suit is blue instead of white. 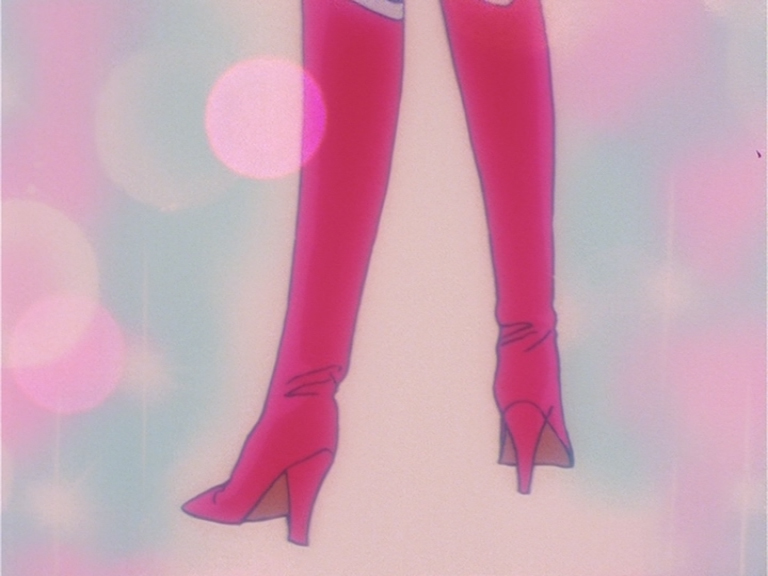 A piece of Sailor Mars' right glove is white instead of red. 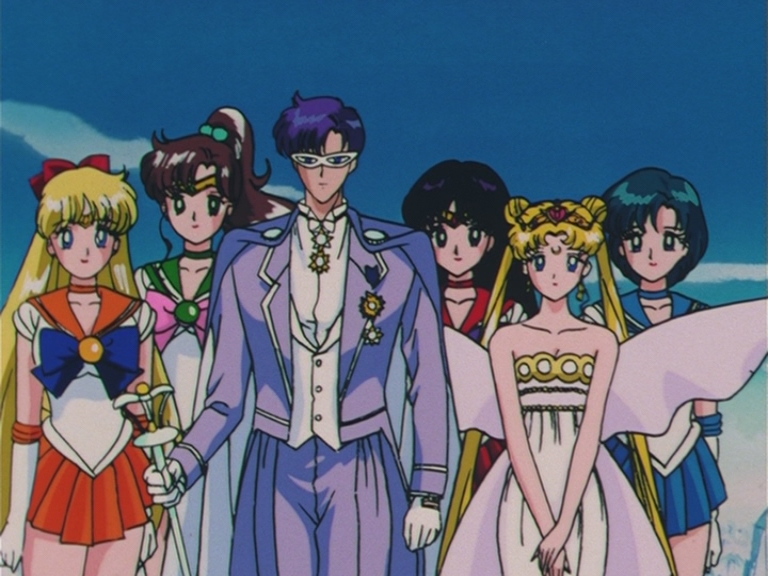 Sailor Mercury is missing her tiara.